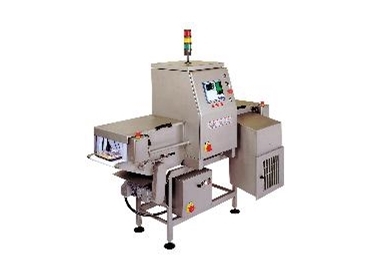 TNA Packaging Solutions has incorporated metal detectors from Safeline. Safeline’s digital metal detector technology sets the standard for metal detection devices in the packaging and processing industry, delivering efficiency and peace of mind to TNA customers through protection from ferrous and non ferrous contaminates including stainless steel which is the most difficult to detect. TNA and Safeline pride themselves on Safeline’s ZMFZ (zero metal free zone) technology consists of the internal cancellation field (ICF) which eliminates all interference from nearby metal structures. This ensures that the maximum frequency and stability is reached even in reduced spaces. This innovative technology shields the detector from signals created by metallised film, aluminium foil or recycled chip board packaging. Safeline metal detector systems are built to exceed current standards for dry and wash down applications, ensuring peak performance under extreme processing conditions.